The Australian PGA Championship gets underway starting tomorrow at Royal Pines Resort on the Gold Coast and if history has its way, expect another playoff come Sunday. 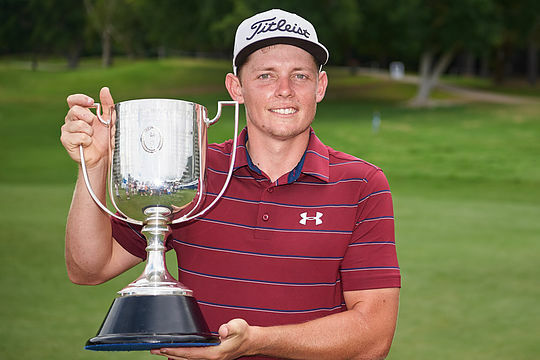 Two of the last three Australian PGA Championships have been won in a playoff. Last year Cameron Smith signed for a final round of 68 to force the playoff with fellow compatriot Jordan Zunic. When the pair went back down 18 on two occasions, Smith parred the first and second extra hole, while Zunic parred the opening hole before bogeying the second to see Smith clinch his first European Tour title. In 2016, Nathan Holman claimed his maiden European Tour title when he beat Dylan Frittelli and Harold Varner III in a three-man play-off. Frittelli and Varner III made bogey on the first play-off hole, while Holman parred the hole to claim the title on home soil. The event is co-sanctioned by the European Tour and PGA Tour of Australasia and provides an excellent opportunity for local players to play their way onto the European Tour. There are a few top-200 ranked European-based professionals making the journey to the Gold Coast where Australians and New Zealanders far outnumber competitors from other parts of the world. With over 80 Australians teeing it up, Cameron Smith and Marc Leishman are expected to attract most of the attention particularly coming off their impressive finish last week in the World Cup where the pair finished runners-up in the team format. Smith is the defending champion, while world No 21 Leishman was fourth 12 months ago and has made it clear he is keen to win this event. “Yeah, I have been playing some good golf. I think last week [at the World Cup] was really important just playing with Marc and having someone there that it affects as well,” said Smith this week at Royal Pines. The championship is steeped in history and is an event that has been won by many of the world’s best players including Seve Ballesteros, Ian Baker Finch, Wayne Grady, Kel Nagle, Greg Norman, Geoff Ogilvy, Gary Player, Adam Scott and Peter Thomson. Notable young guns to follow this week include Jake McLeod and Anthony Quayle, with McLeod having won the NSW Open a few weeks back and then playing solidly at The Lakes the week after to record a 3rd place finish. Quayle has being playing well on the Japan Golf Tour and both players have potential to take out the Australasian Order of Merit wit the two top spots gaining invites to a World Golf Championship. The Championship offers a prize pool of AUD$1.5million, which is the biggest on the Australasian Tour, with the top-65 plus ties making the weekend cut.